CALL TO SCHEDULE YOUR DEMO TODAY! Look how awesome people say our system is! 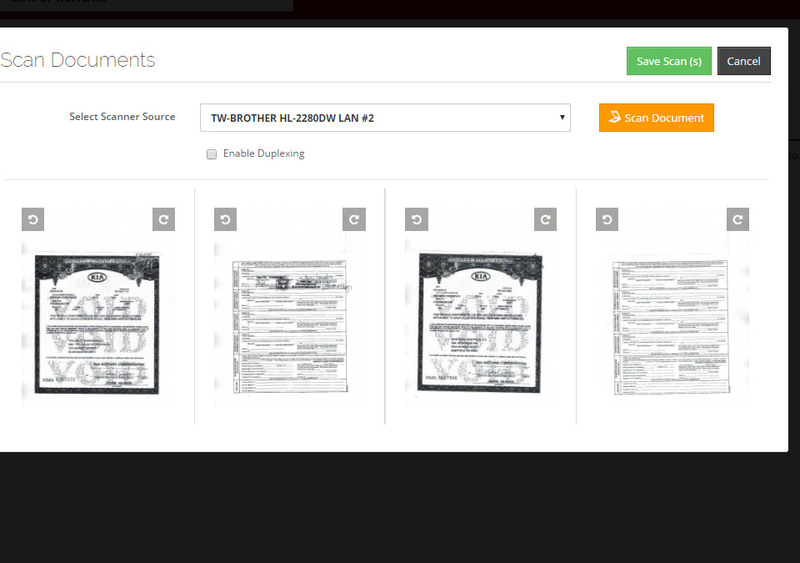 The new e-title system Ez Title is a great tool for processing our auto titles. It’s a huge convenience being able to print memo titles here at the store, and also being made aware of rejected titles right away (and being able to fix or correct) instead of waiting for the runner to bring back from the title bureau and having to resend the next day. The tech support is very reliable, as well as informative when it comes to letting us know about new features or changes to the program. I would highly recommend this service! I love working on the electronic system EZ Title. I get titles done so much quicker due to so much information already being entered before I begin. It is so great to be able to print the memo titles. When there is a need for a rush for a customer all I have to do is alert the title bureau and I can have the memo almost immediately. It is nice to be able to get duplicate titles in the system too. I also would like to commend the help desk at CTMS. No matter what question I have or information I need they are always available and take care of whatever needs to be done. Thank You! The EZ Title Program has come a long way since the beginning, being a title clerk has changed over the past 20+ years. When the (ETA) Electronic Titling Applications first went on-line you were only permitted to do simple transactions such as retail and resale transactions. 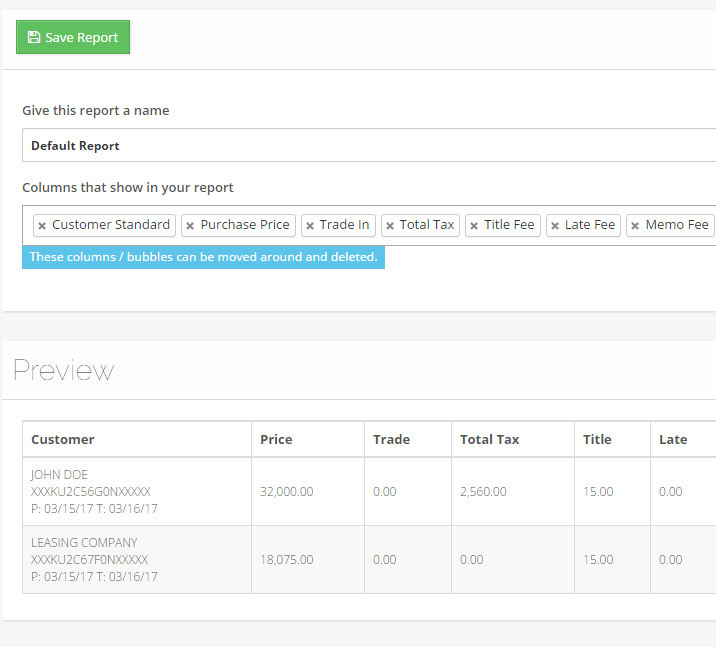 Now, with the EZ Title Program we can do a variety of transactions (duplicates, non resident taxable,non resident non taxable and replacements). The tech team @ CTMS is awesome and very knowledgeable. Their response time is quick and they will walk you through any issues that may arise. They keep you up to dateon changes. Yes I would recommend CTMS for your electronic titling needs. The new e-title system is different from the one previous. I think it is easier to read and the duplex on the scanner is great! I also like the fact that if there was a mistake inputting the information that is rejected right away, and not having to wait on the title office to bounce it back. The tech support was great during the transition with the updates and the ability to fix things in my computer remotely and correct the problem right away. I liked the system before and I do like the new system a little better! Let me start out by saying its "hard to teach an old dog new tricks", but I am so impressed with the Ez title system, and that is not so easy to do. Changes are not easy for anyone.... but given a chance you will love using this new age of titling. It&apos;s great for when you get busy and forget that one title (which we all have had), that was missed and need quickly, you submit and can have the memo right away, and if by chance its rejected you also will know the same day instead of the next day. The support that you get from the tech support is awesome and reliable and they will keep you well informed. I can honestly say that I have only waited minutes, not hours for their help and support!!! Try it and you will LOVE it. EZ TITLE! What a concept. No longer waiting for our titles. So wonderful to receive all our titles back with no rejections. No fuss or muss. The support team goes out of their way to be sure all we have no issues. Very informative as to what’s going on with all new features. Just zip them through and forget about them. Love it! The E-Title website is such a great tool for me to get my job done in an effective and efficient manner. The ease of the website allows me to get my customers their titles and plates within a quick period of time. 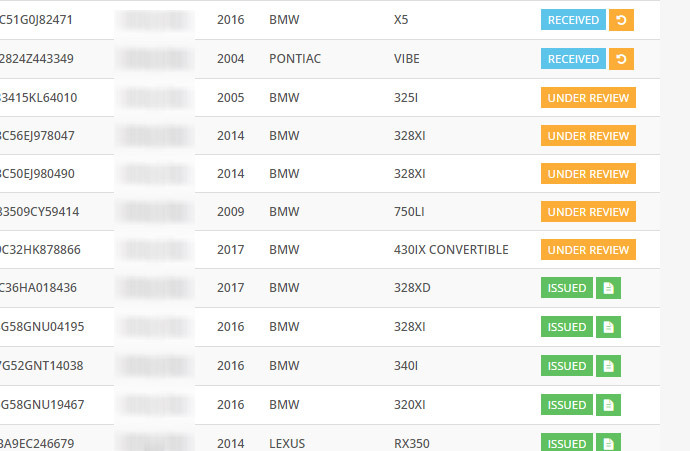 I would highly recommend any dealership to explore this way of titling vehicles. No on can match the level of support we provide to our customers. We have a 24/7 helpline for any questions you might have about the titling process. Over 10 years business experience. 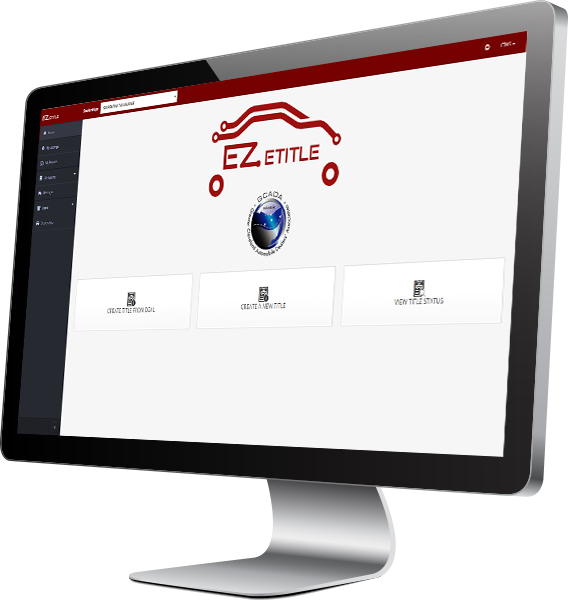 We can set your dealership(s) up quickly while getting your staff quickly trained on the ezetitle.com software. 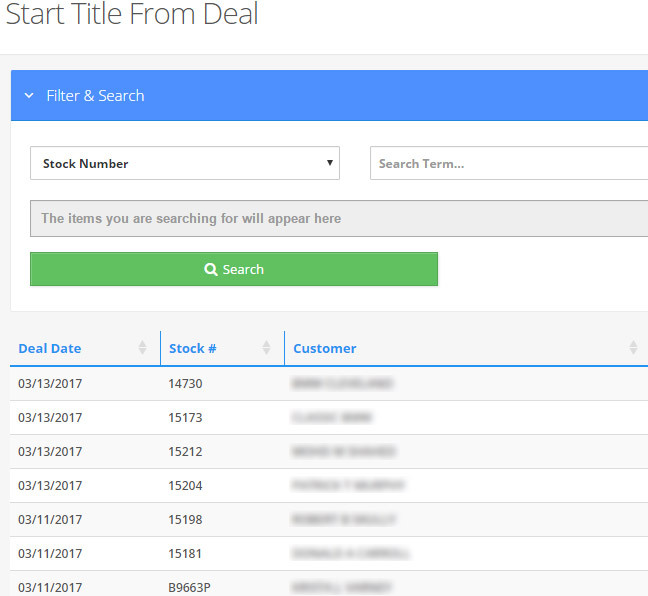 Once setup, your title clerks can access your deals and start titling from any PC compatible computer and any browser (Google Chrome is preferred). You pay per title. The more titles you do, the better the rate per title. We know we beat the competitions price, and we’re willing to give your dealerships a price lock agreement so you rate doesn’t increase. 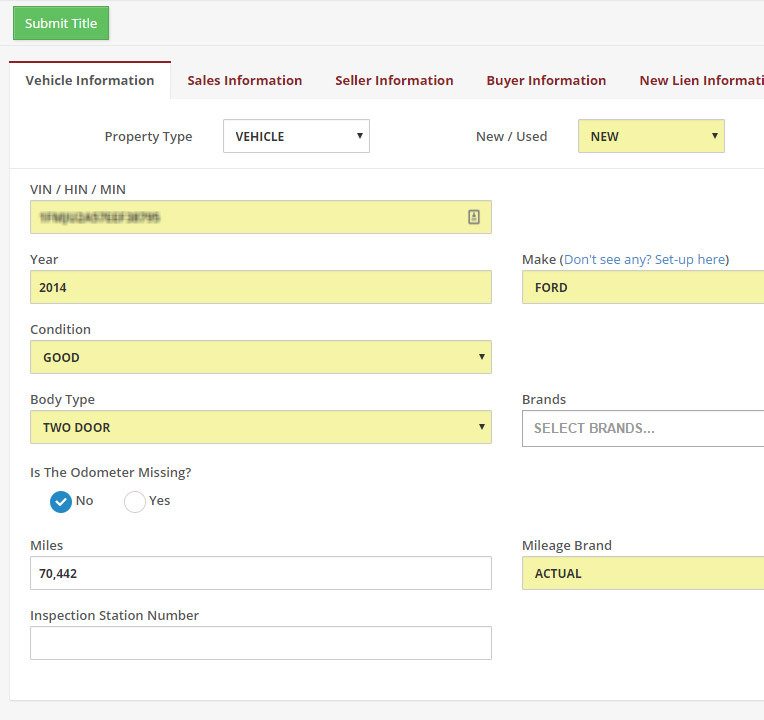 Have a custom solution implemented in your dealership? 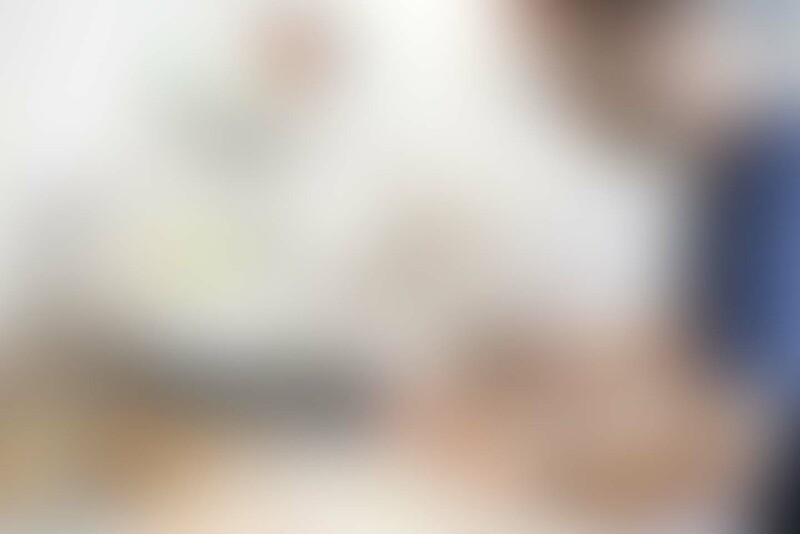 We're happy to find a way to integrate your software with ours. Fields are highlighted to let you know what you need to pay attention too. We also catch your mistakes before the title is sent to the bureau. Don't know the ELH number? No Problem!! 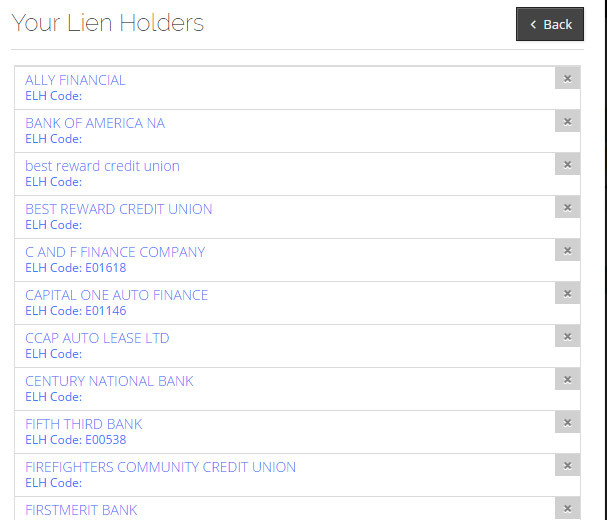 We have an easy search tool that allows you to find an electronic lien holder. Once selected all the fields will be filled in for you. Need a scanner? We can provide you one.